Classics arranged for the young in heart. The web draws a blank on The Valverde Orchestra. The formula is nothing unique – classical pieces arranged with a modern rhythm section. There are two Schubert pieces – the slowburning Unfinished Symphony and the pretty piano-driven Trout. 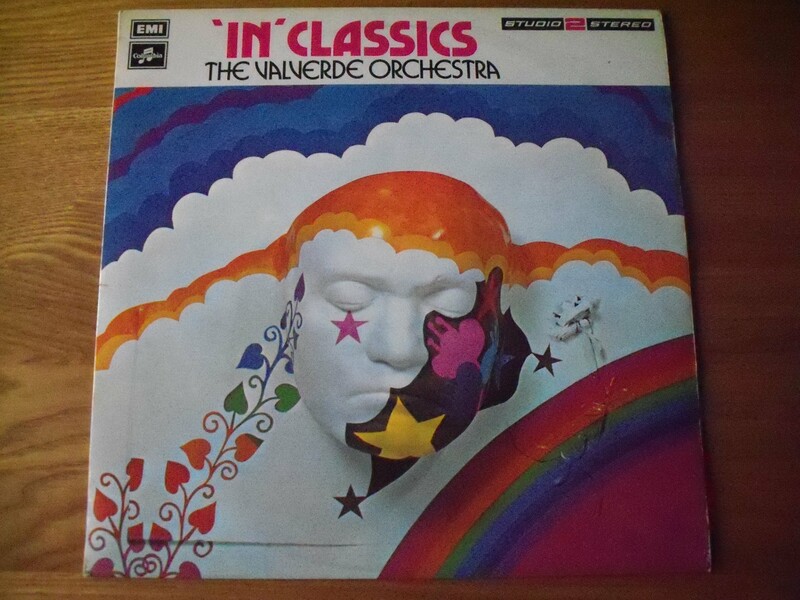 The remainder of the LP yields some promising morsels – Emperor Piano Concerto and the faux trip hop Swan Lake with its luxury string grooves while the hypnotic Toy Symphony with cuckoo-clock and bubbly electronic undertones is a fine album closer. Has to be heard to be believed! Arranged and conducted by Harry Robinson. 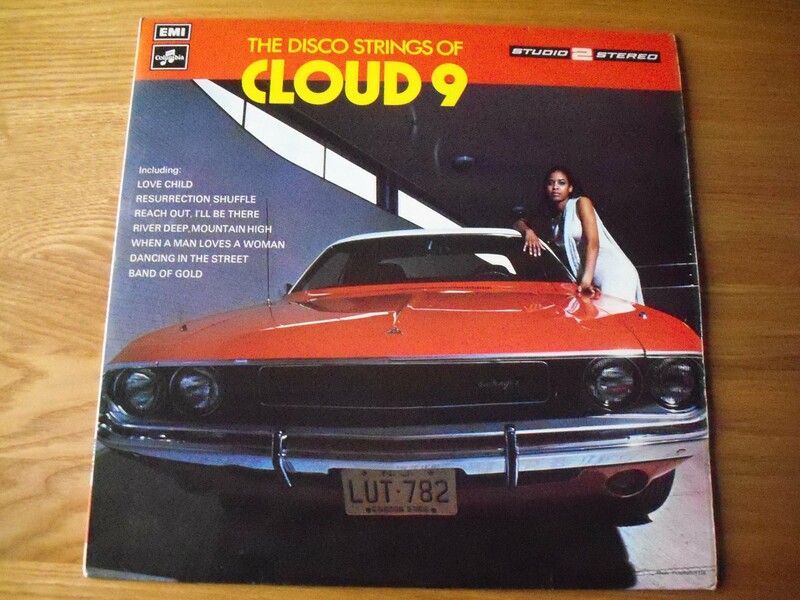 Huge string section with a tight rhythm sound make The Disco Strings of Cloud 9 one of the best Studio 2 Stereo LPs. A savage (that means brilliant) version of Love Child gets the glitterball spinning before wedding perennial Band Of Gold makes a shimmering appearance. A self-penned tune from Barnatt called Every Picture Tells A Story manages to sound like a Motown classic fused like Frankenstein’s monster being handbuilt by Jive Bunny. There’s epic renditions of evergreen favourites like Dancing In The Street, Walk Away Renée and Reach Out I’ll Be There that sound superb while The Resurrection Shuffle is all gritty Stax-style with a fuzzy guitar. The funk outlives all in the final two tracks – a chunky blast of enthusiastic soul (I Can’t Help Myself) and an epic River Deep, Mountain High. This unique record is truly contemporary. The songs are all from the 70s and are performed entirely (with the exception of the rhythm section) on electronic keyboard instruments, some of which at the time of recording were prototypes. 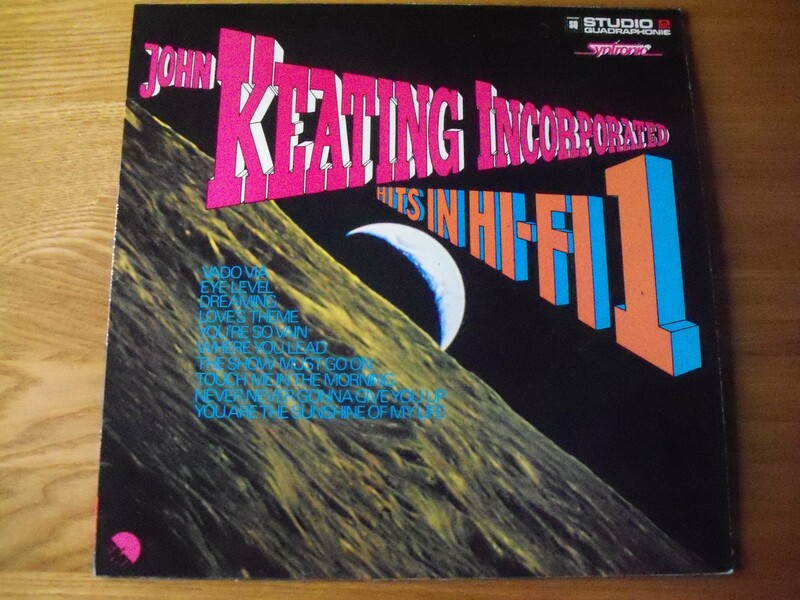 Hits in Hi-Fi 1 was released between the two volumes of Keating’s Space Experience. It’s a lush listening experience which reinforces the record’s reputation as prime “stereo demonstration” material. Two Barry White tracks are featured – the smooth Love’s Theme and the spacey moog sounds of Never Never Gonna Give You Up – while Stevie Wonder’s You Are The Sunshine Of My Love is like floating candyfloss. I’m particularly fond of the fat synths on Eye Level (theme to Van Der Valk) made famous by The Simon Park Orchestra in 1973. Watch out for a couple of Simon’s LPs coming to Spiral 2 over the next couple of months. The eerie Dreaming appears to be a Keating composition – credited to “M and K Keating”. Leo Sayer fans should dig a catchy rendition of The Show Must Go On, complete with wonky synths while it’s always a pleasure to relax to Vado Via. The version here is as good as the one on Percy Faith’s Corazón. The LP finishes with another Carole King number (I Feel The Earth Move had kicked off Space Experience) – the cluttered-sounding Where You Lead.